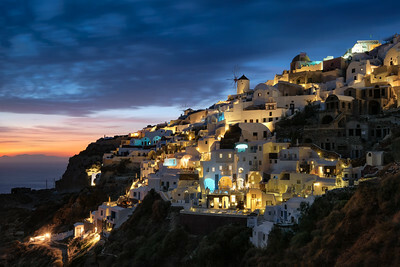 A golden sunset in Oia Santorini, one of the most beautiful islands in the Greek Cyclades. 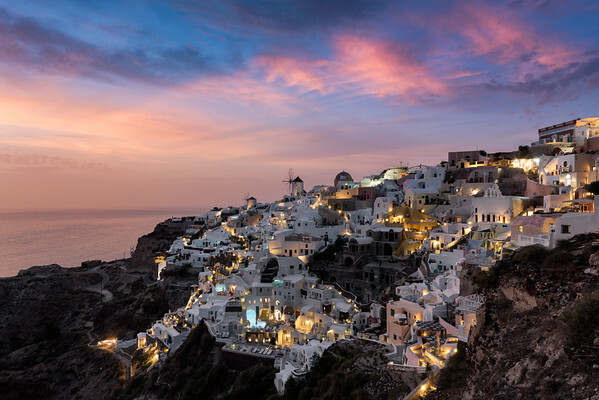 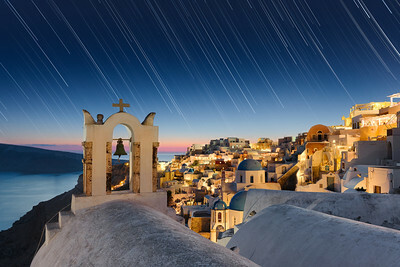 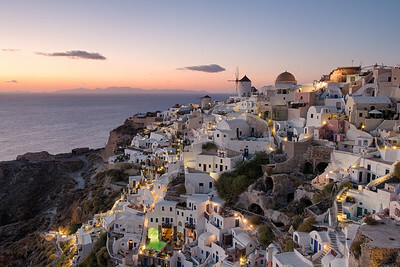 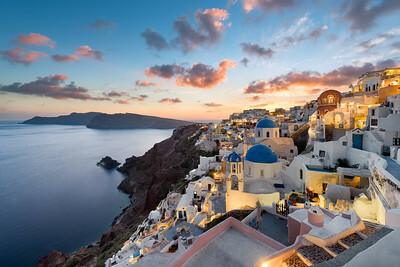 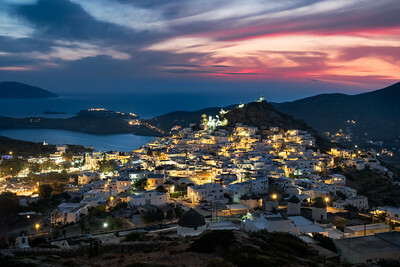 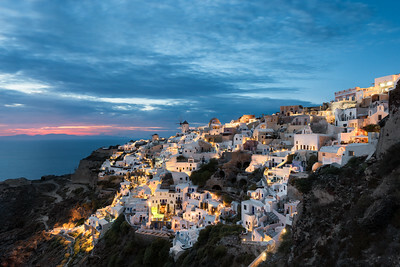 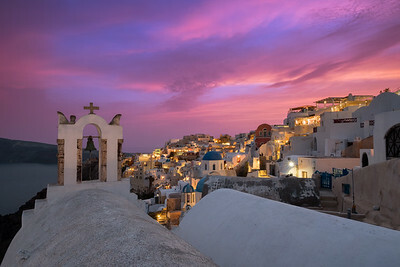 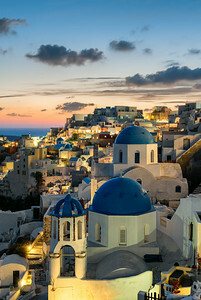 A stunning twilight in Oia Santorini, the island paradise of the Aegean Sea. 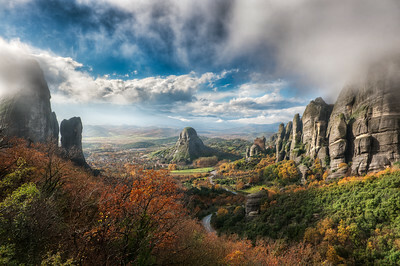 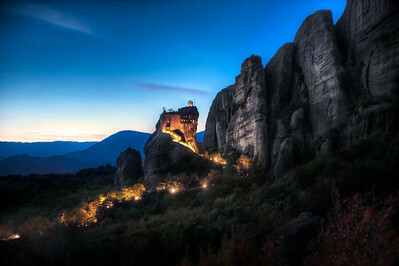 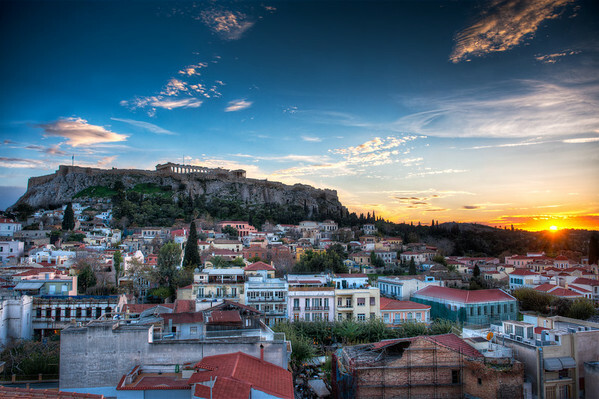 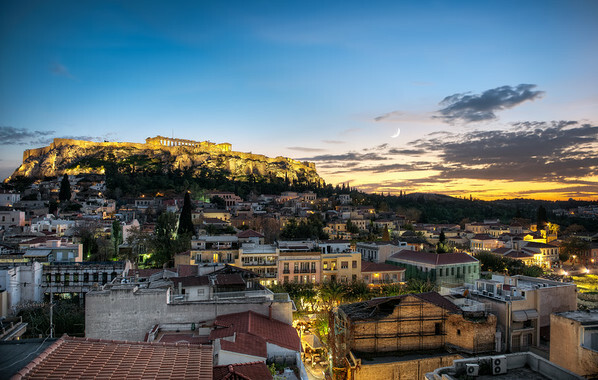 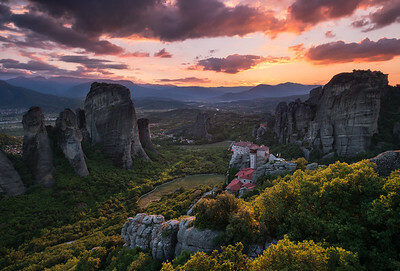 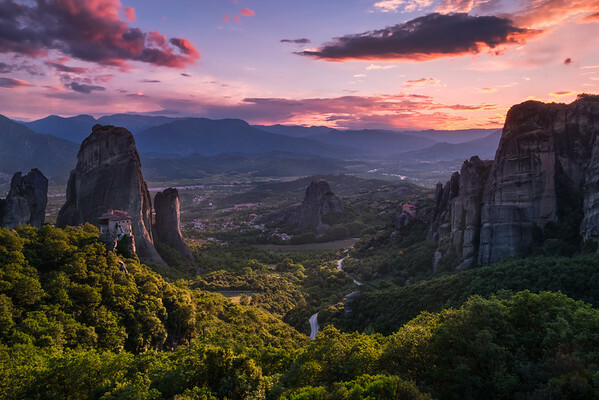 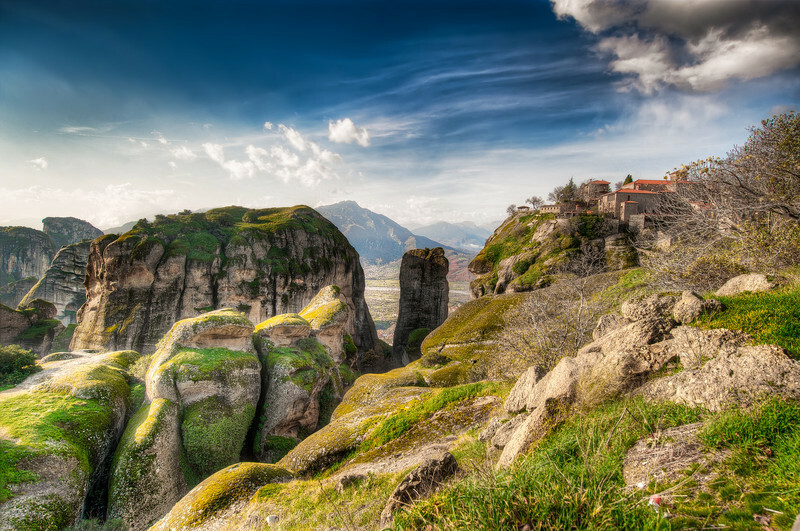 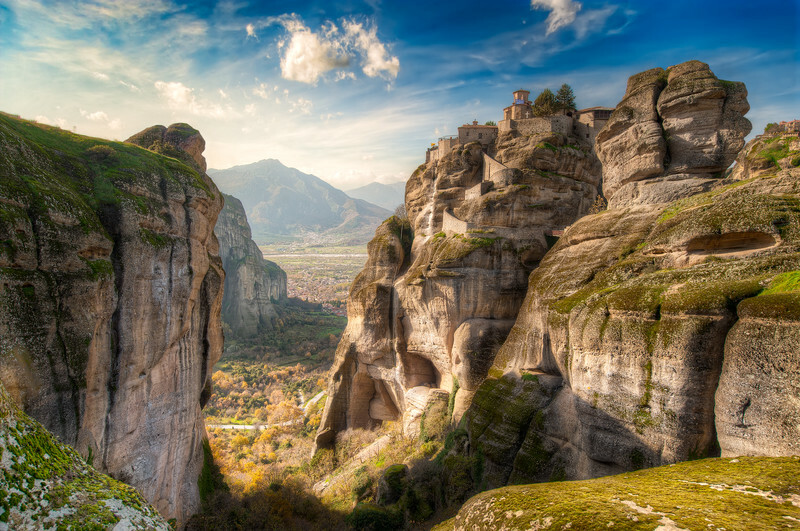 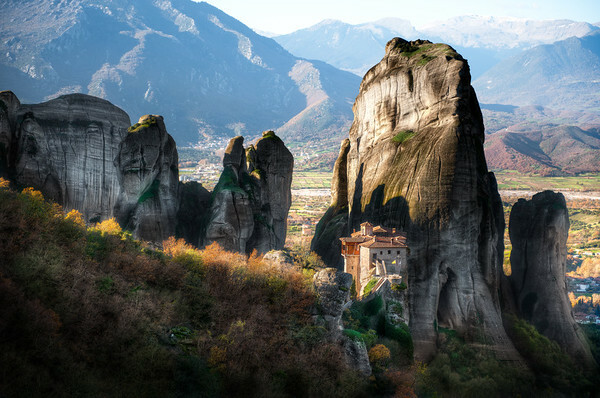 After the sun sets in Athens Greece, The Acropolis illuminates with beautiful light.